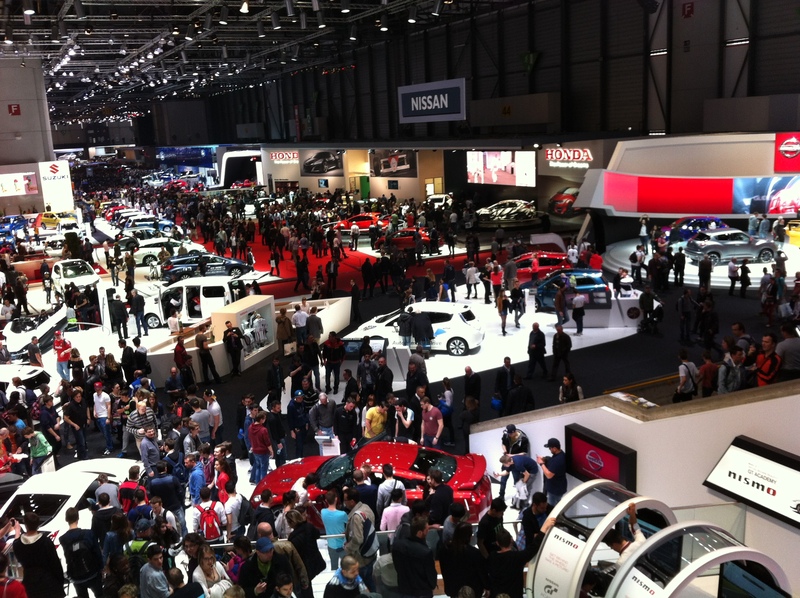 The 84th Geneva International Motor Show was a good opportunity to discover a number of “what’s new”. I’m not particularly a car lover but the show offered many things that satisfied my curiosity. Please share with me my picks of the day. View of Hall4, that hosted major Japanese brands. 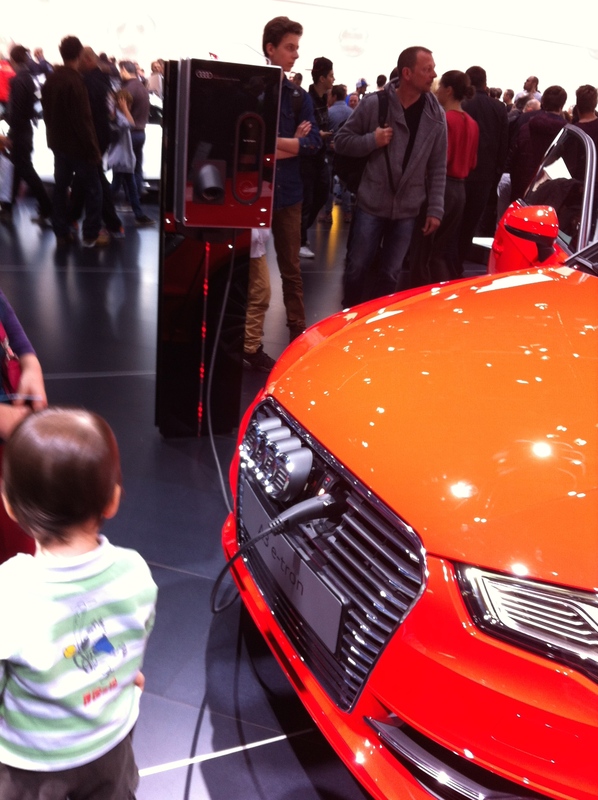 I saw for the first time a car that receives the power source from its front nose (photos below). 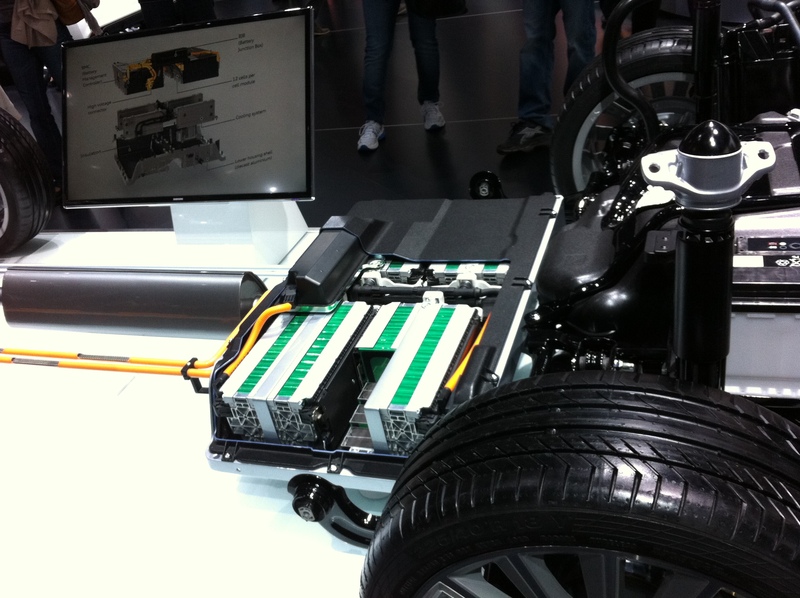 In the car, batteries are laid out under your feet. This signals that the shift of the power source of the car will change its design, structure, drivers’ habit to charge energy, location of energy supply, knowledge needed for garages, and more. 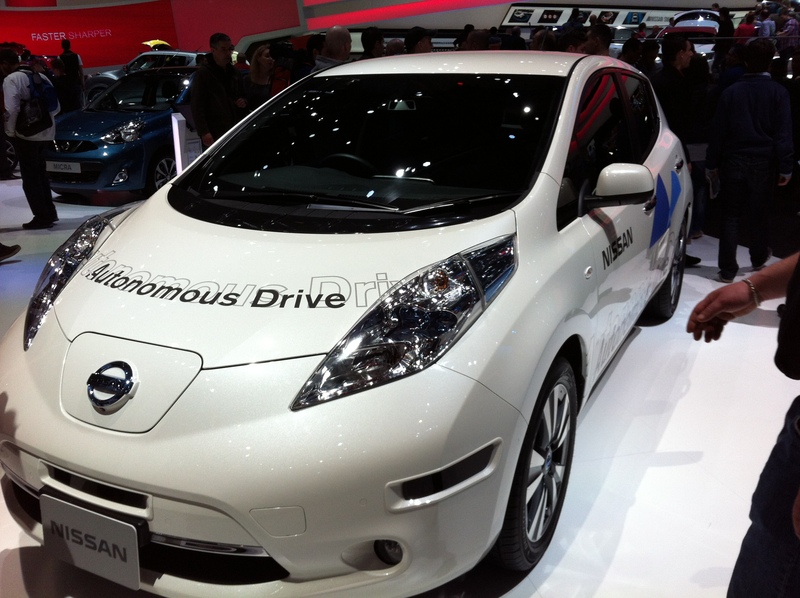 Your car drives itself for you (Photos below). Moreover, the car controls its own movement and position in relation to other cars on the road to ensure the safety. And this dream is under development in Nissan in Japan. Market launch is planned in 2020, a bit far from now but it’s OK. The secrets are a number of small cameras and sensors attached to the car. These are the sources of the car’s intelligence. 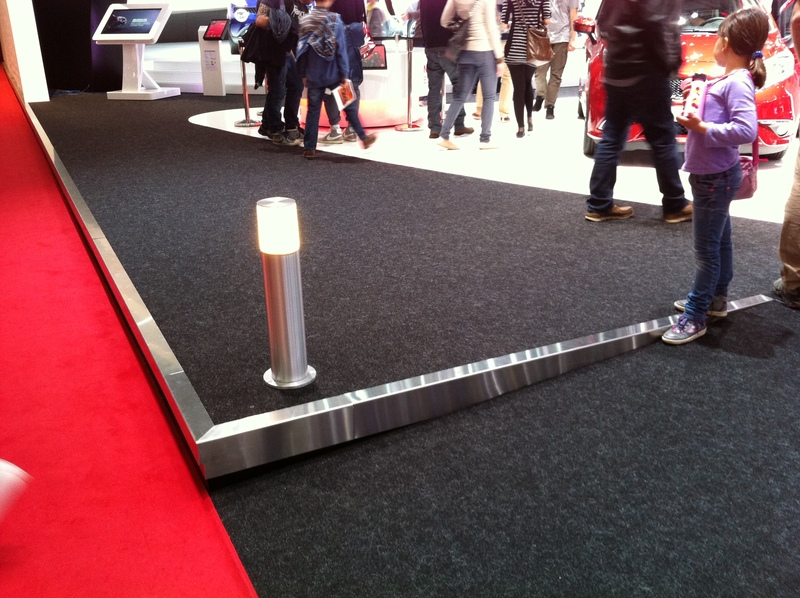 It’s a robot that moves autonomously, rather than a vehicle operated by huma beings. Autonomous drive, a near robot car. 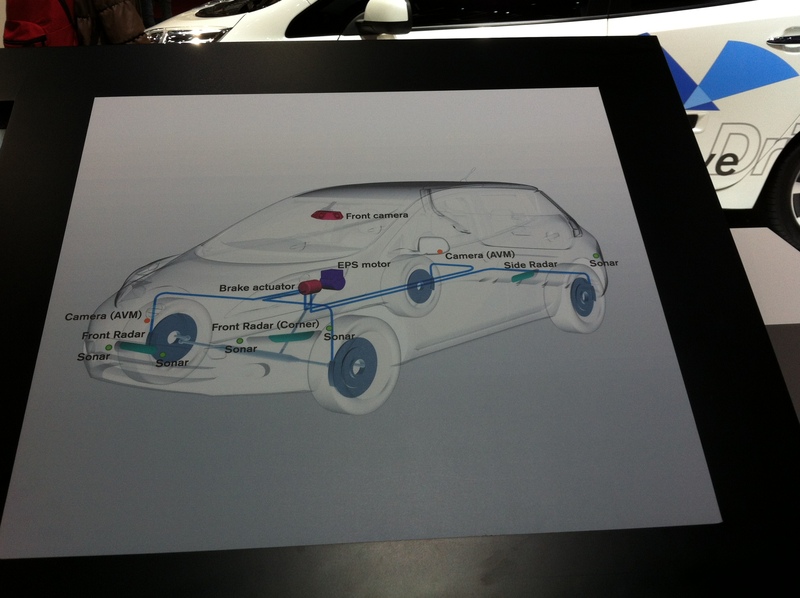 A car with sensors and cameras. That is true! We request CO2 free cars. We welcome electric and hybrid cars as a solution. Our society however must install power supply infrastructure that feed those eco-cars. It’s a big task that requires time & investment. 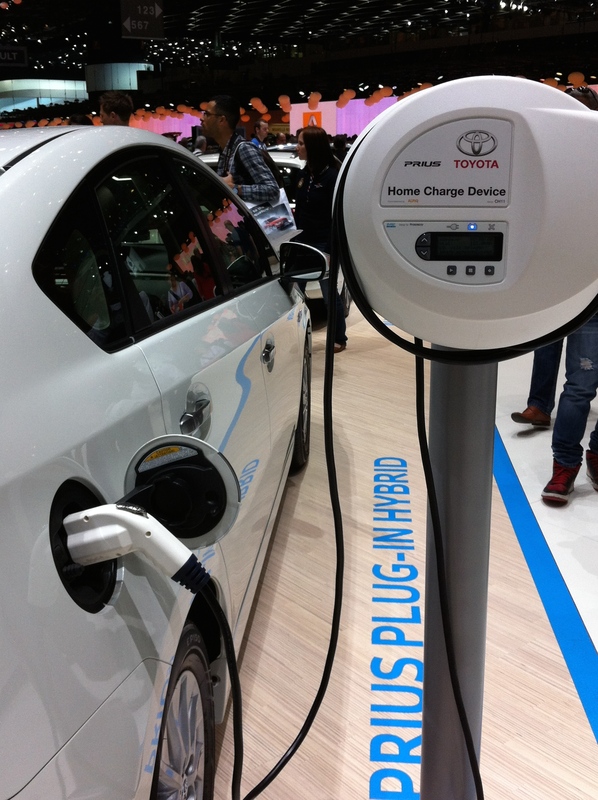 Toyota’s solution is the “Home charger”, which allows you to supply electricity to your car at home. “Home charger” is sold in a package with Prius. Home charger packaged with Prius (Toyota). 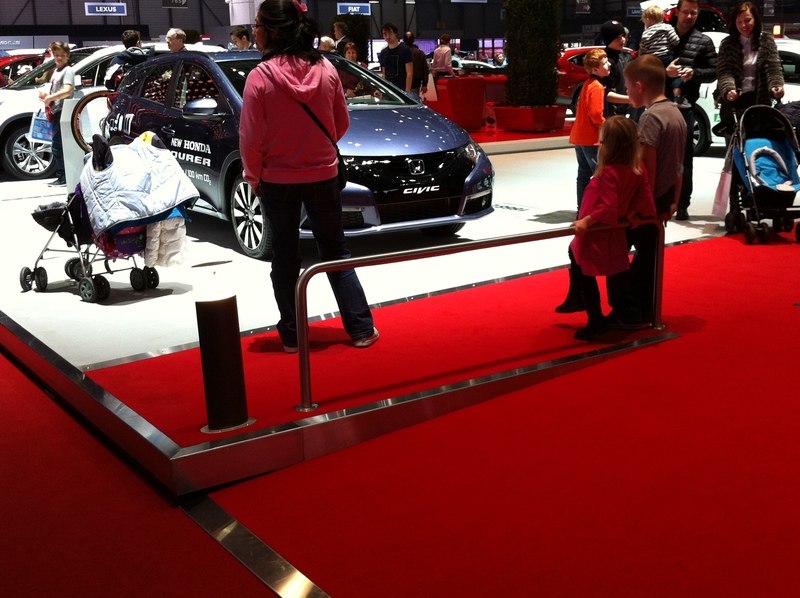 Last but not the least, as far as I saw, only Nissan and Honda’s stands were designed to facilitate visitors on the wheel chair and families with baby buggies. Slopes to step in the exhibition space are sign posted with a wheel chair symbol. Bravo for attention to diversity of customers! Nissan. A slope and signpost. Honda. A slope is also prepared and sign posted. Why are good things adopted so slowly? — Analysis of fresh voice from various stakeholders, and recommendations to fill a gap between what should happen and what is happening. Ongoing changes in society towards the Information Society have given rise to new challenges with reference to Corporate Social Responsibility (CSR). This paper focuses on web accessibility as a responsibility of corporations and discusses practical ways to ensure that websites, “the Web” hereafter, be made accessible to all the readers, including the elderly and people with disabilities. The United Nations (the UN) recognises Web access as a basic human right in the Information Society, and Governments in major economies endorse it. On the technical side, a set of high quality voluntary standards has been established by a group of experts. Despite this backing, implementation of web accessibility has been slow in practice. There is a gap between what should happen and what it is happening. Why are good ideas adopted slowly? 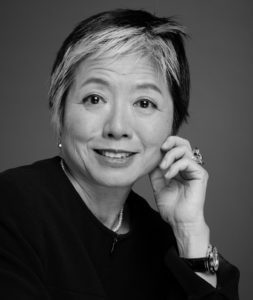 To gain a better insight into today’s reality, its barriers and opportunities, the author interviewed web owners and experts, who are promoting web accessibility in Europe and in Japan, which has led to a number of recommendations for action to all stakeholders. The full paper is available from here. This is a bilingual article. Please click here! I have written this article in English & Japanese. Please click here!